At Aqua Breeze Inn, we are dedicated to providing our guests with the best lodging experience for their money. Take advantage of our hotel deals in Santa Cruz to make the most out of your stay in our sunny beach town! Whether you’re looking for spacious accommodations for your family vacation or need a convenient hotel room for your corporate business trip, our affordable hotel deals in Santa Cruz, CA can’t be beat. Enjoy the best rate available when you book direct with Aqua Breeze Inn. From now to the end of the year, our hotel is proud to offer unbeatable hotel deals in Santa Cruz – automatically save 50% off any room type when you book directly with us! Feel safe and secure knowing you have chosen one of the most affordable area accommodations while taking advantage of our very best rates. Book direct today! 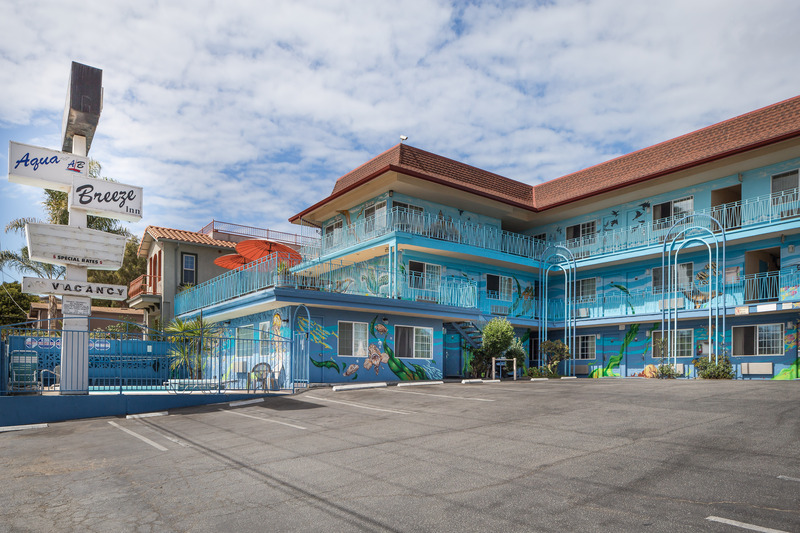 More than just an affordable beachside hotel, our comfortable lodgings and our convenient location just steps away from the famed Santa Cruz Beach Boardwalk puts Aqua Breeze Inn above the rest. Enjoy our thoughtful hotel amenities, including free Wi-Fi, free parking and guest laundry facilities. Spend your afternoons absorbing the California sunshine on our rooftop patio, relax on the sands of Main Beach, and access the area’s top attractions with ease! And after a busy day of work or play, relax and unwind in your inviting guest room. No matter the reason for your visit, use our hotel deals in Santa Cruz to make your stay near the boardwalk feel like a breeze. Welcome to Aqua Breeze Inn, your best affordable hotel in Santa Cruz near the Boardwalk! Enjoy the best Santa Cruz hotel deal when you book direct with Aqua Breeze Inn! Automatically save 50% off any room type when you book directly with us. 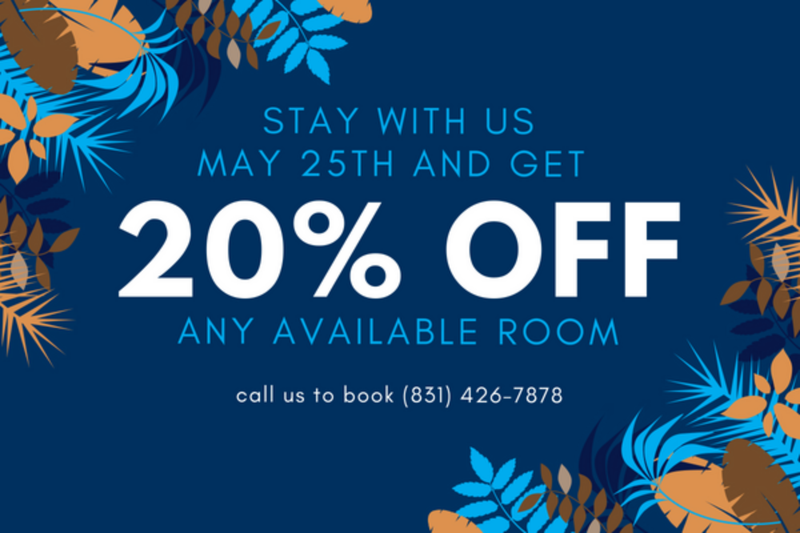 Book your stay with us this weekend and receive 20% off your room on May 25th 2018. We look forward to welcoming you to the Aqua Breeze Inn!